Information will be added to the website as it comes in. Festival programmes will be available for sale from late June whilst a general outline of events will be available to view online. Given the success of the stage venues, we have decided to retain all of them. The ‘Trevett stages’ (Millennium Green) will operate in similar vein as this year with acts alternating to ensure continuity of entertainment. We also have the addition of The Children's area this year (see below). South Street will be closing on the Sunday for our big morris dance. We also have a lot more involvement with the towns pubs this year, you will find more bands and music sessions to join in with! The site will be accessed from Bridport’s Sea Road North bypass. Access maps will be uploaded in due course. Confirmation of Camping allocation will be will be sent out when you apply via a PDF which you need to bring with you, and anyone arriving separately to you. Water points, Waste disposal points, Toilets and Showers. 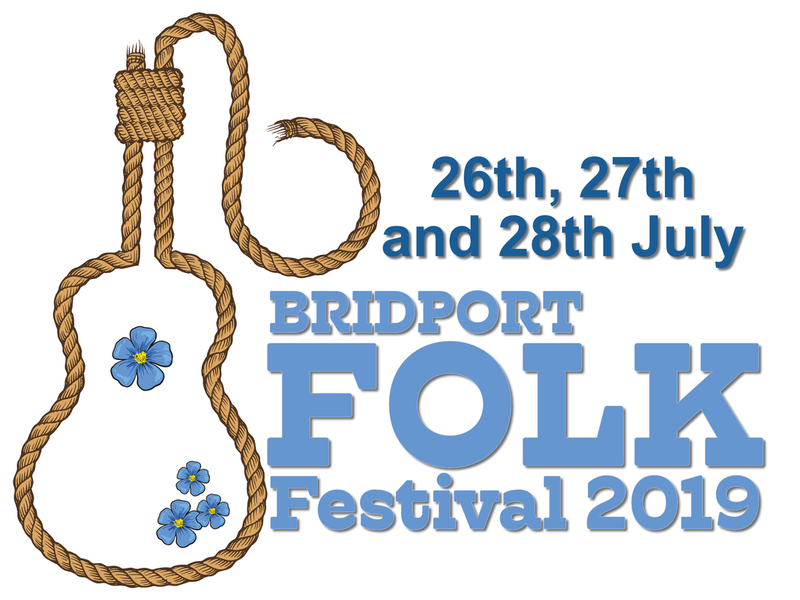 Camping for performers / Artists will be available from Thursday 25th until Monday 29th July, thereby providing a suitable onward route-link to Sidmouth Folk Festival. As a dance side / dancer / musician / performer etc, if staying at the camping site you must have given us your camping details beforehand. You will not be allowed on to the camp site without them. Each vehicle / camper / tent will need to print off the PDF that you receive in an email and bring it with you, please display this in your window. Performers who have not booked camping before the festival will not be allocated a pitch. If you are a performer who has filled in the form then your parking details will be on the gate upon arrival. Performers who have not booked parking before the festival will not be allocated a space. Registration for all dance and music performers will be adjacent to the TIC Town hall. The only requirement is for one representative to register on behalf of any group thus avoiding clogging up the system with bodies! Updated or amended details of dance sites and stage allocations will be issued along with Wrist bands and tokens where applicable. You can ask us at any time to provide the information that we have stored on you. Your email address will only be used for the purpose you gave it to us for. So, for example, if you gave us your email address to get our Newsletter then your email address will be used for that reason only and only held by our media correspondent or designated person. In the case of wet weather we have contingency plans for all artists and dancers. Information will be at the Tourist Information Centre, where our stewards will be able you point you in the right direction. There will also be signs on the door of the TIC. Once contingency plans are in place there will not be any change to the schedule so please don't ask us to jig timings for you. Dance sides, please don't forget your tankards if you don't want to pay £1 for the commemorative reusable glasses at the bar. Our charity funds are raised via profits from the bar and the bucket donations, so please do support our festival bar and donate generously in the buckets. Our small charge of £2 to enter our garden stages is put towards paying for the artists, along with the fundraising we do throughout the year.